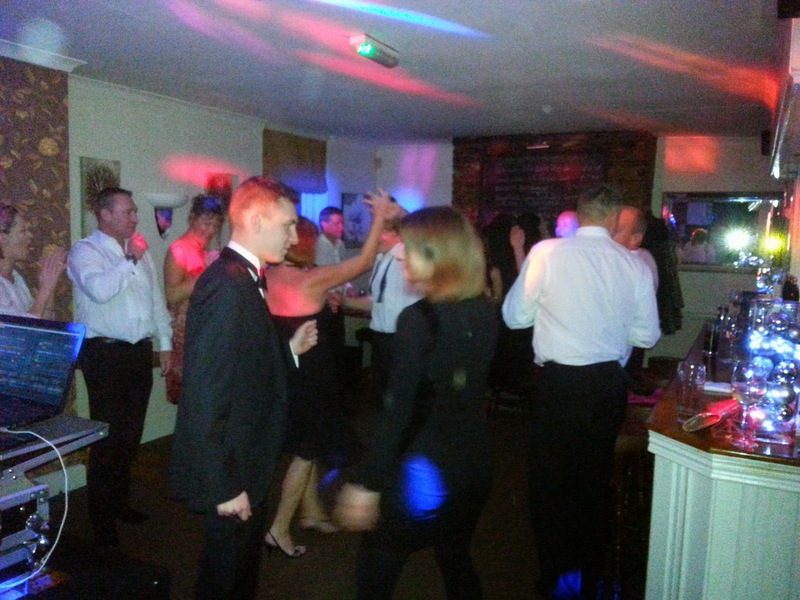 Another great Whitchurch CC annual dinner-dance took place last night at the Ferryboat, once again organised by Brian & Caroline. Most of the usual suspects were on show with awards presented for top bat (Lyn), top bowler (that's Number One again) and of course the Duckman Award. 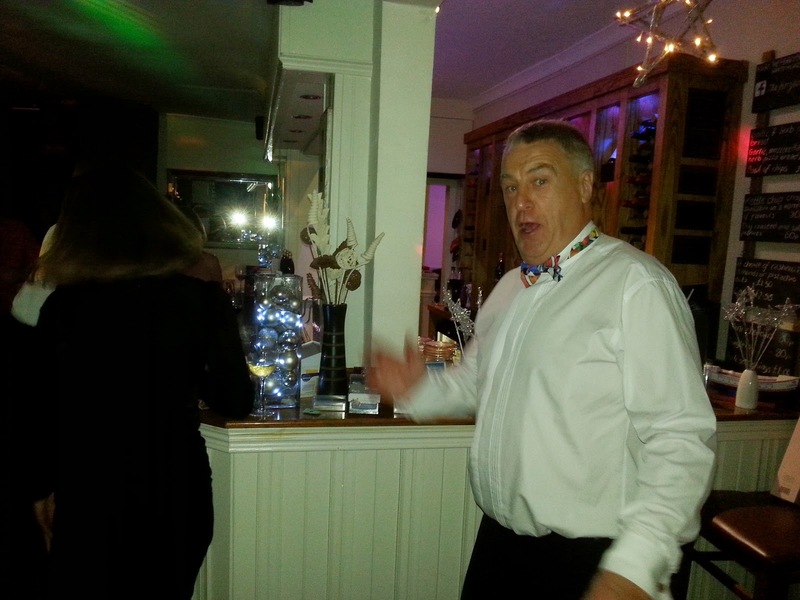 Party chief, Brian "Goldenfleece" Reddecliffe surveying the dance floor. |Getting on down after the formalities, it's Harry Williams in the foreground. Incidental to all this, our auctioneer, Cormac, raised £125 from Ronnie for a generously-donated golf day; and a goodly amount for cuff-links bid for by, um, Tania's sister. 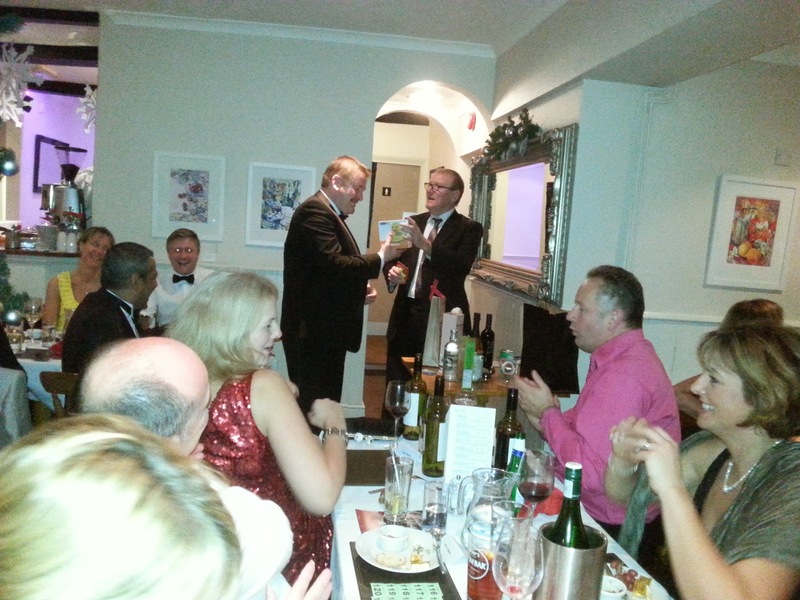 The main raffle brought the merest smidgeon under £200, which is the best for four years at least.